A massive crowd swarmed around the Polaroid booth at around 3:30 pm this afternoon on the CES show floor. A giant projection screen stood behind a small white stage reading “Grey Revealed” and counting down the minutes until Lady Gaga arrived, or so was the rumor. Eventually the crowd’s anticipation was gratified when Chairman Bobby Sager asked Lady Gaga herself to the stage. The pop star is the brand’s new Creative Director and has helped design products in Polaroid’s new Grey Label. 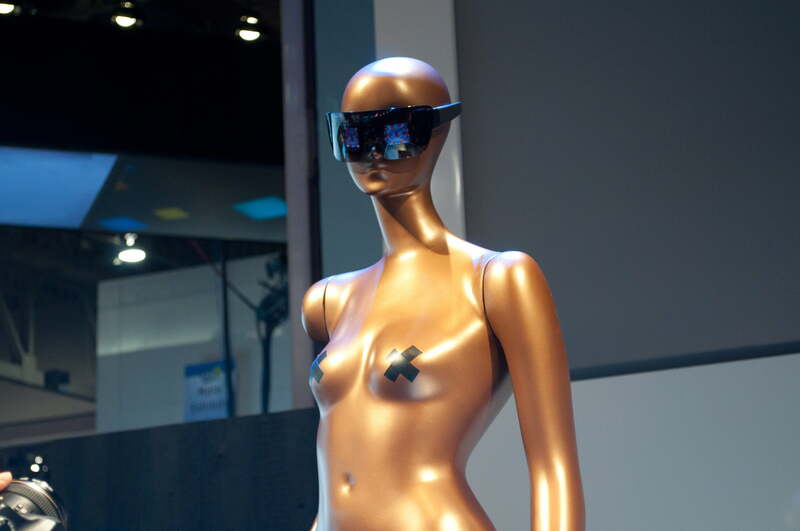 The first product revealed was a pair of Gaga-style sunglasses that actually take photos (and video) and display the images on the lenses. 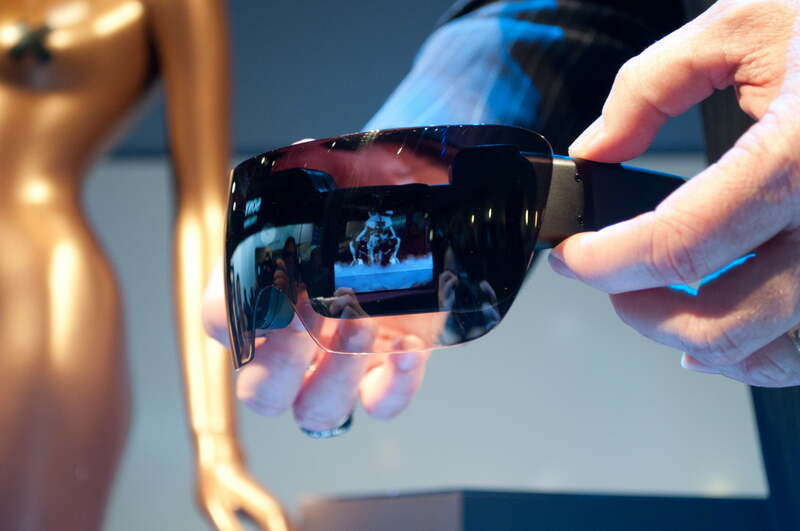 The glasses have a built-in USB earpiece for easy uploading and images can be sent to a printer via Bluetooth. Next the company unveiled a mobile printer after Gaga explained that she and her fans saw the future of photography as mobile. The printer carries print cartridges of 10 3×4 photos that can be printed in traditional polaroid style or with various other effects. The printer has a battery life of 40 prints and works with Bluetooth for mobile printing. 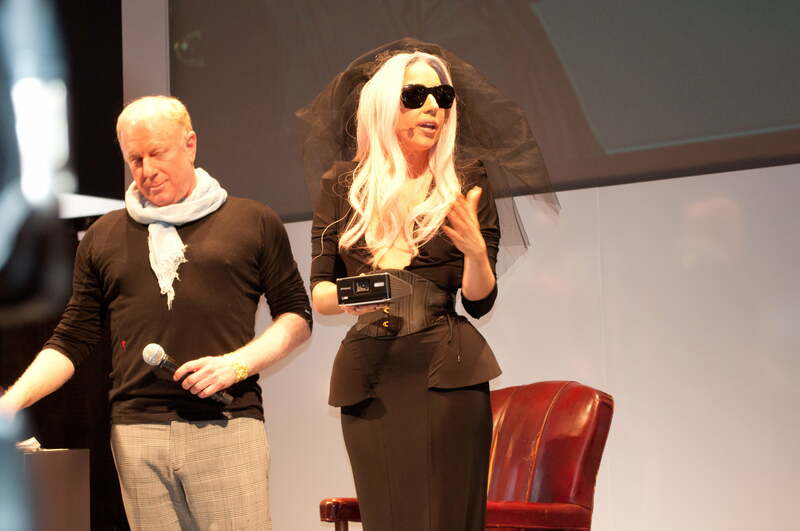 Lady Gaga demoed the product by taking a photo on her BlackBerry and wirelessly printing it through the Polaroid GL10 printer. The printer currently works with all Bluetooth-enabled devices except the iPhone, although representatives talked of eventually releasing an app to fix the problem. 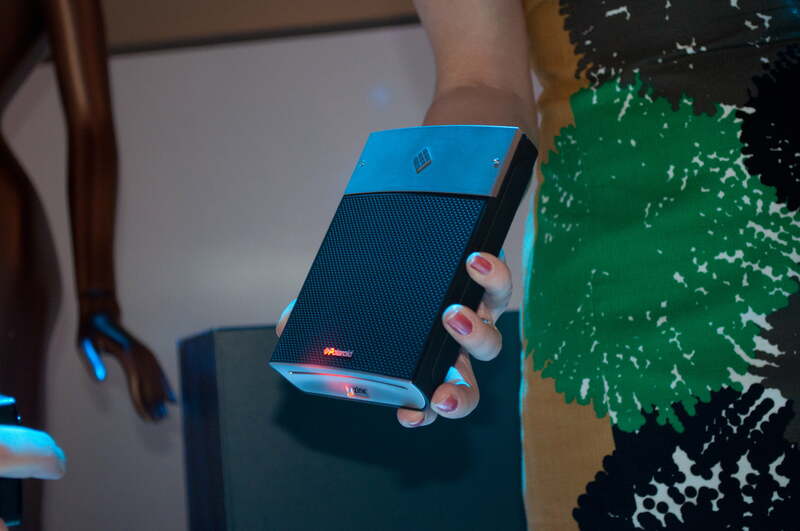 The printer will be available in May for $149. 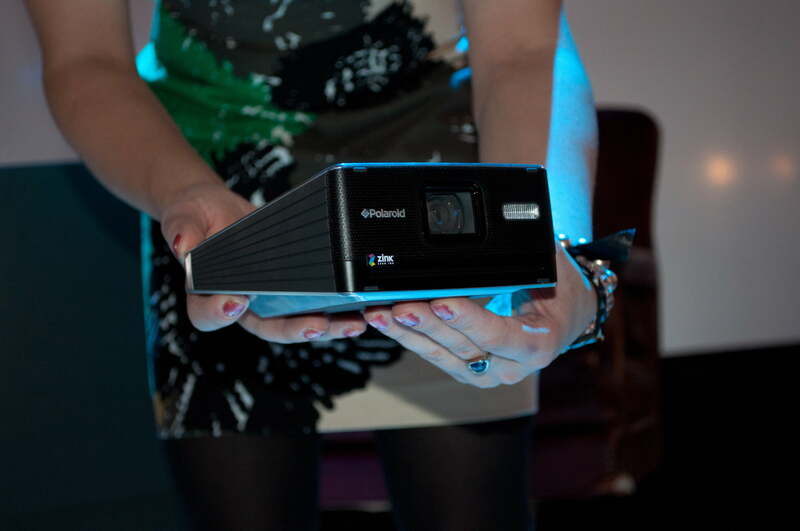 Last but definitely not least, the new Polaroid GL30 instant camera was revealed. The camera, which looks similar to the company’s cult-favorite vintage cameras, is a 12 megapixel digital camera that allows users to choose whether they want to instantly print the photo like a traditional polaroid, or save the photo in the camera’s memory to upload to a computer or mobile device. Lady Gaga also mentioned that future versions of the camera will likely have the option for users to directly upload to social media services like Facebook and Twitter. The camera is still a prototype, but rumor has it that it will be available in the third or fourth quarters of this year.